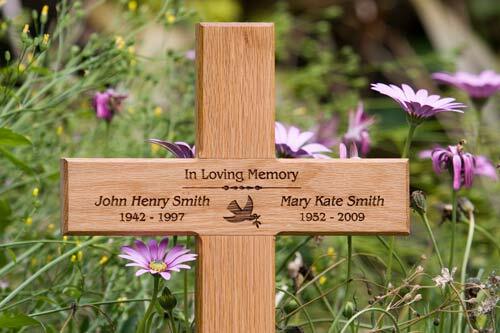 We make our wooden memorial crosses in five sizes. Normally we use oak but we can use other timbers such as Iroko (similar to teak) . If you want to mount on a wall we can supply square ended instead of stake ended. Oak & Sapele will be treated with our long life satin varnish. Iroko and Opepe are full of their own oil and can be left untreated. 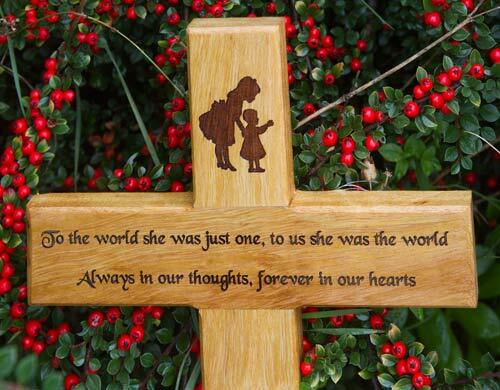 Lettering is laser engraved directly onto the plaque. Letters do not need to be painted but we can paint them black providing the lettering is not too small. Images can also be added, we have a large selection to choose from. Click Here You can also have the lettering in many styles. Click Here to see the fonts. 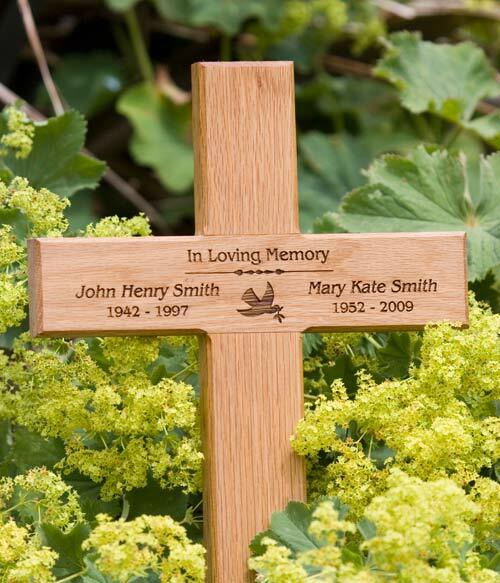 High Tower seems to be the most popular for wooden crosses though, but the choice is yours.